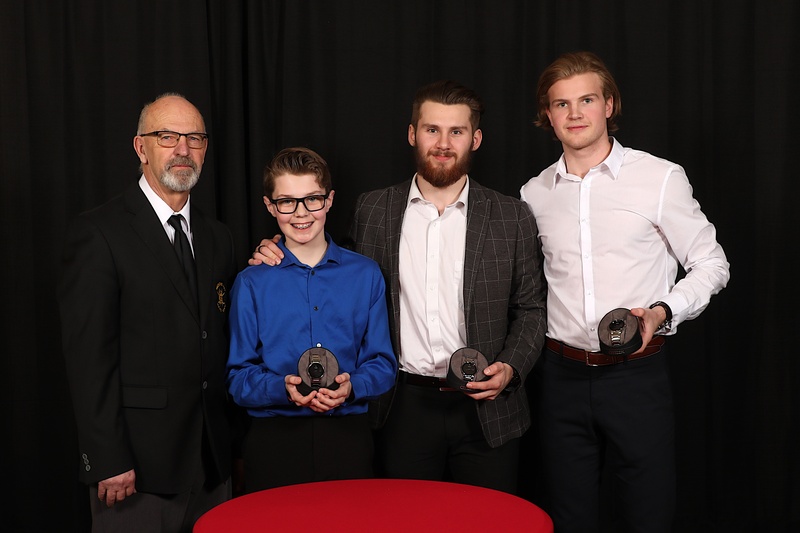 Medicine Hat, AB — The Medicine Hat Tigers Hockey Club hosted their Annual Year End Reception and Awards Banquet Wednesday, April 3rd at the Medicine Hat Lodge. 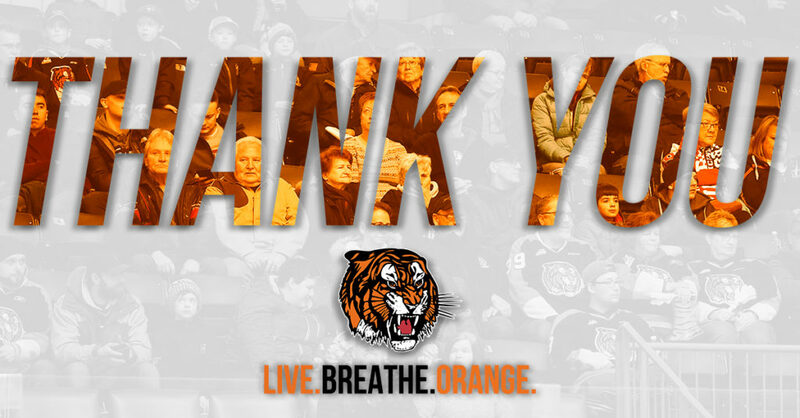 The Tigers would like to thank all the sponsors who made the evening possible as well as everyone who attended. 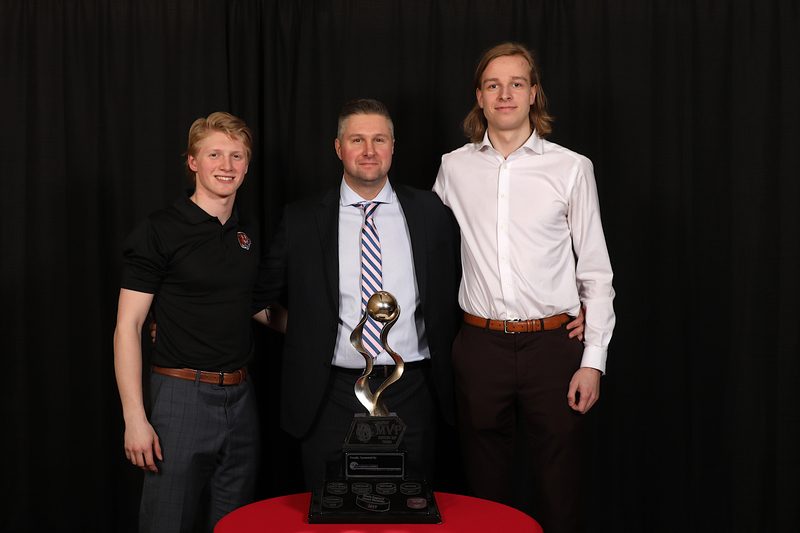 Trophy World Most Goals – This award is presented to the Tiger(s) who led the team in goals scored during the regular season. This season we had two formidable players tie with 33 goals each, James Hamblin & Brett Kemp. 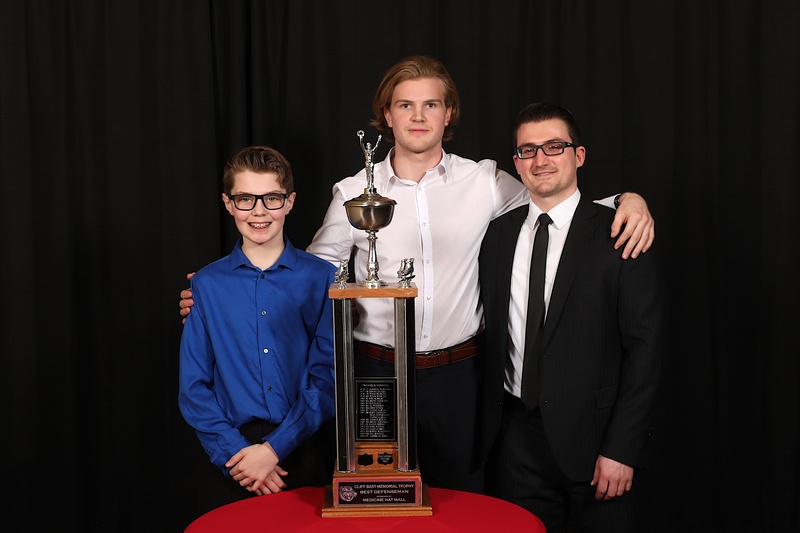 Medicine Hat News Leading Scorer – This award is presented to the overall points leader for the Tigers during the regular season. James Hamblin led the team with 77 points in 67 games played. 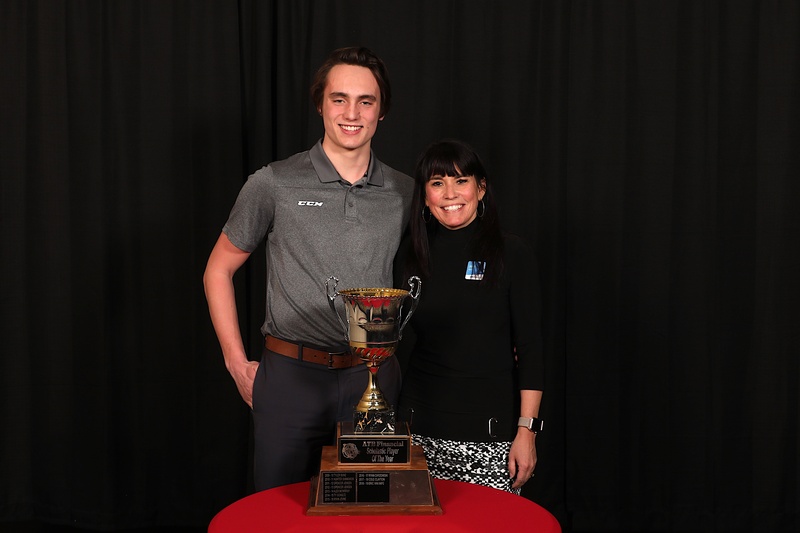 ATB Financial Scholastic Player of the Year Award – The player that best exemplified a combination of hockey skills and scholastic ability during the season. This year’s winner is Eric Van Impe. 20/20 Vision Care Community Service Award – The Tigers have always prided themselves on being a team that gives back to our community. This year’s team was no exception in doing a great job of interacting with fans and helping to make our events memorable. James Hamblin participated in every community event with a smile on his face. 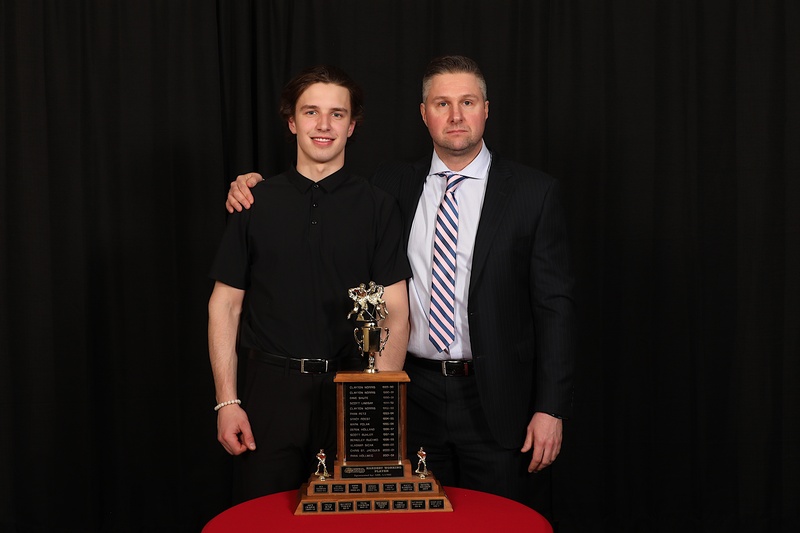 Chat 94.5 Unsung Hero Award – The concept of Tigers Hockey is based around the idea of everyone on the team buying into a system and putting the team first. 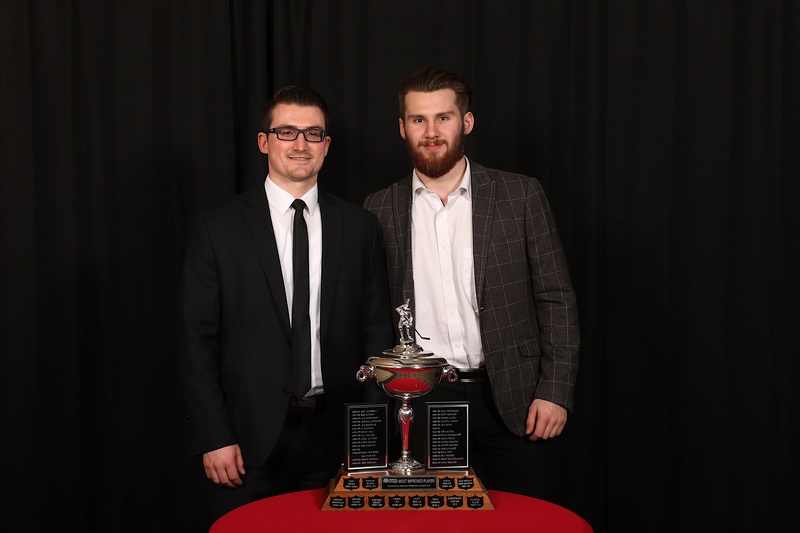 Ryan Jevne and Dylan MacPherson stood out for their willingness to do the little things that often went unnoticed by fans but were essential to the team’s success. Aldo’s Shoe Repair 3 Star Award – This award goes to the player who received the most 3 stars during the season. Ryan Jevne worked hard every night and he was crucial to the Tigers success this season. 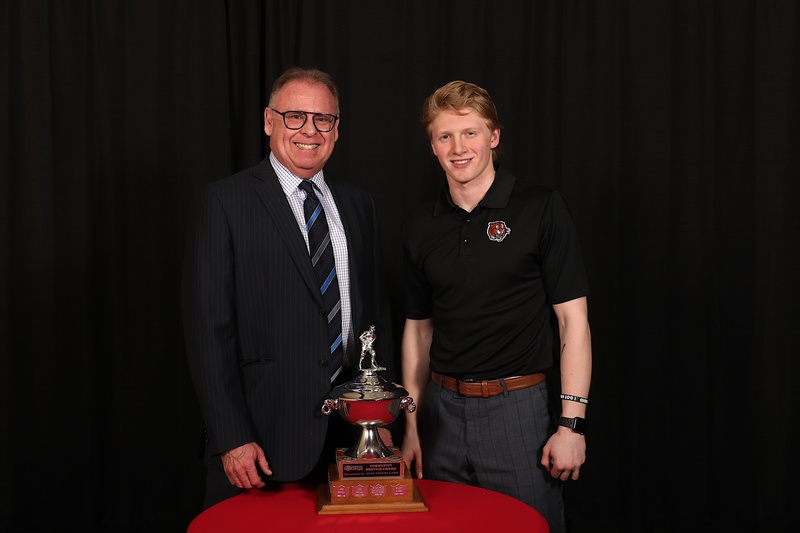 Gerard Moyer Leadership Award sponsored by Lanny McDonald – This award is presented to the player that best personifies the characteristics of leadership, not only on the ice but off the ice, in the dressing room and within our community. The winner is James Hamblin. 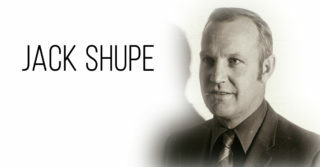 Mr Lube Hardest Working Player – The goal of the Tigers’ coaching staff is to be the hardest working team on the ice every night. 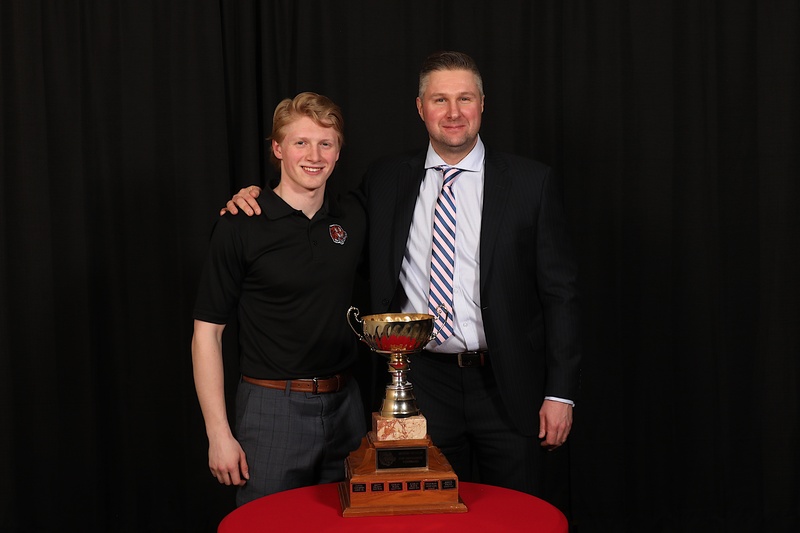 Within our roster, there are many deserving players for this award but Ryan Chyzowski stood out and helped set the bar for effort during training sessions, practices and games. 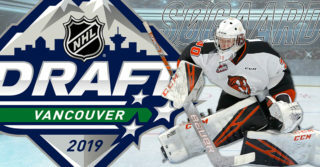 MY96 Rookie of the Year – This rookie had a breakout season in the WHL, winning the WHL & CHL Goaltender of the Week twice while also being invited to play in the CHL/NHL Top Prospects Game. 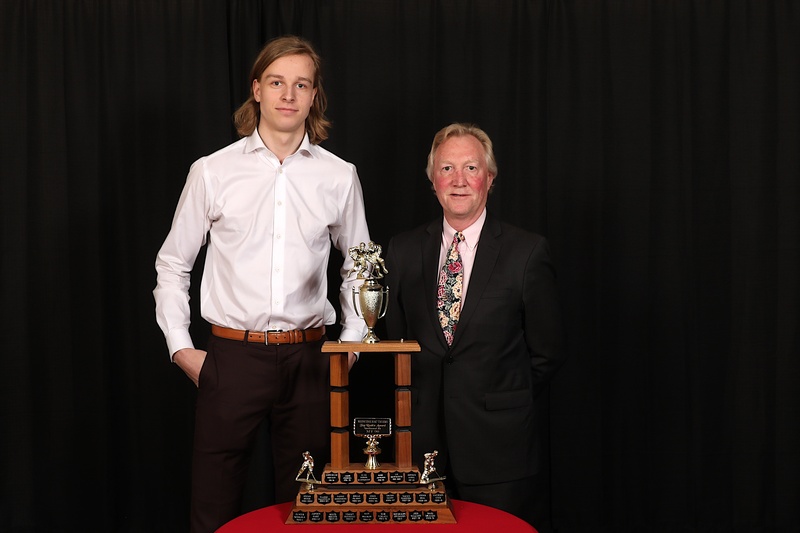 Mads Søgaard was also named to the WHL Second Team All-Star, all in his rookie season. 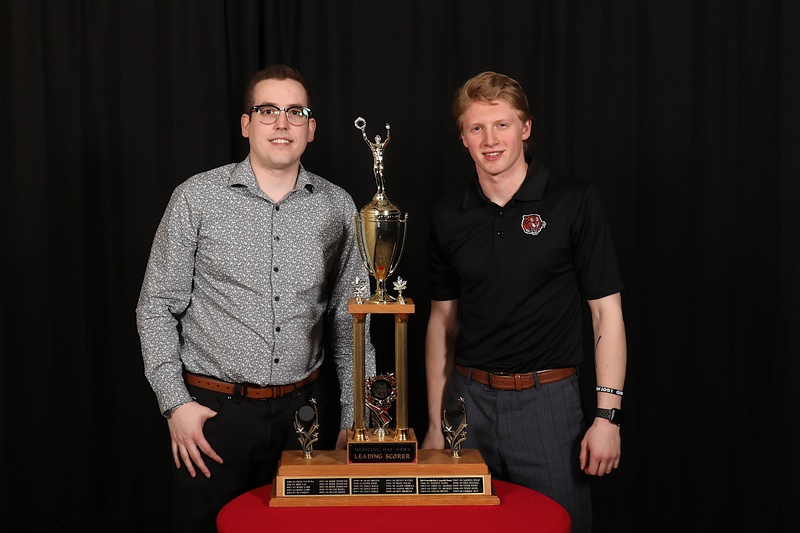 MacLean Wiedemann Lawyers LLP Most Improved Player – This player set new career highs in all offensive categories and could be counted on in any situation. Ryan Jevne’s drive and determination to do whatever necessary for his teammates heighten what it means to be a Tiger. 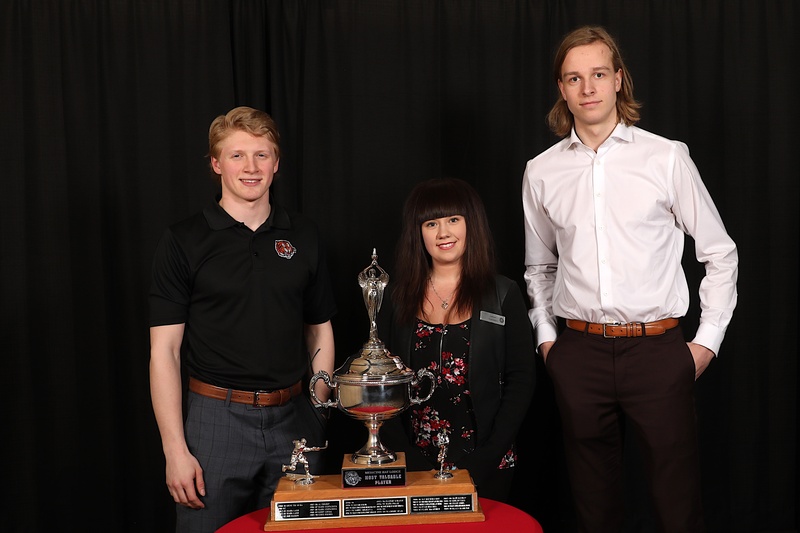 South Country CO-OP Top Defensive Forward – This award is presented to one Tiger player who was counted on to shut down opponents and be a presence in the defensive end, helping out the defenseman when needed. James Hamblin finished the season with a +18 rating. 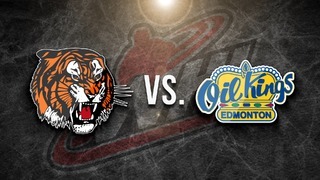 Cliff Bast Memorial Best Defenceman Award Sponsored by the Medicine Hat Mall – This award was split between two Tigers defenceman who played their whole WHL careers in Orange and Black. 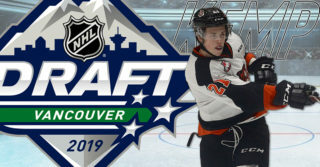 Dylan MacPherson is a defensive defenceman who was relied on to shut down the top players for the opposition while Linus Nassen is an offensive defenceman who quarterbacked the top power play line for the Tabbies. 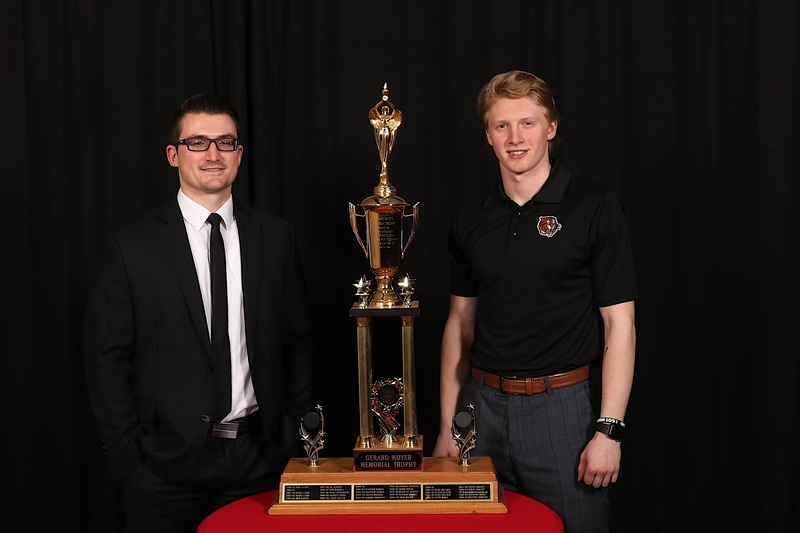 Guttormson & Co. Chartered Accountants Playoff MVP – This award was split between two Tigers who were impactful every night during the team’s post season. 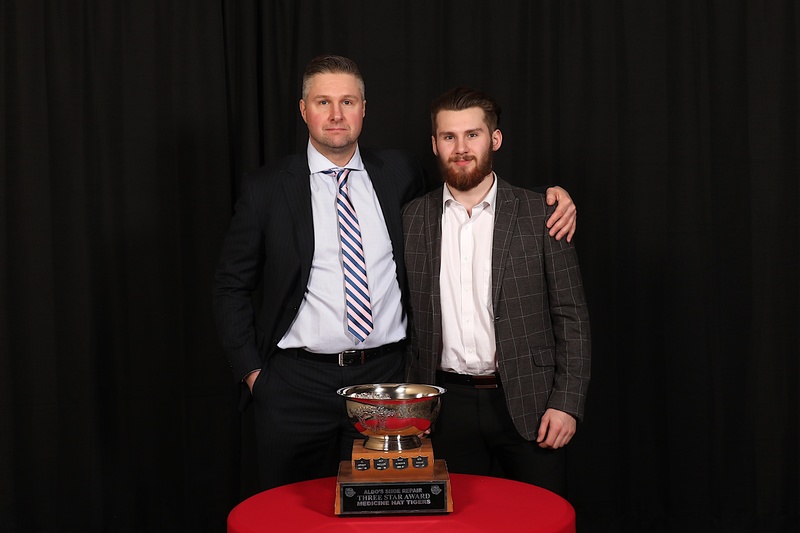 James Hamblin was the only player on both teams to record a point in all six games of the Eastern Conference Quarter Final while Mads Søgaard stopped 215 of 234 shots faced. 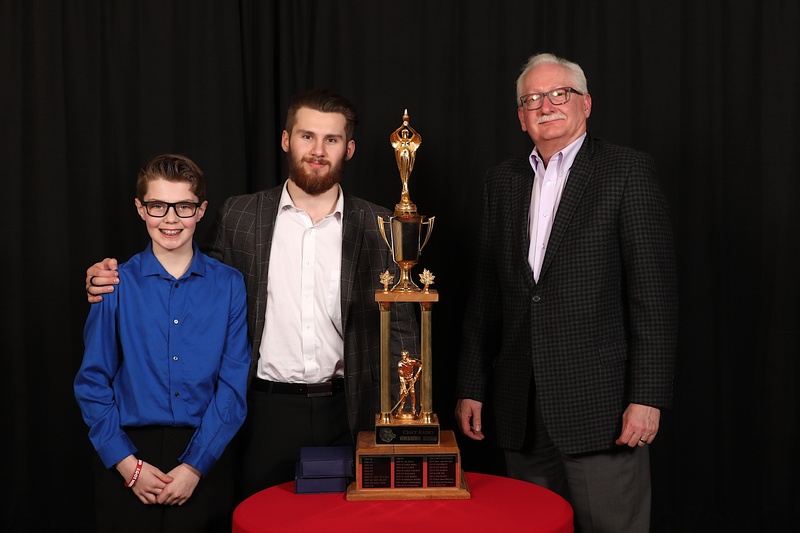 Medicine Hat Lodge Most Valuable Player – The final award of the evening is the highest award on any sports team. It is given to the most outstanding player during the regular season. This season, we had two players who demonstrated not only exceptional hockey skills but leadership, determination and teamwork. This year’s MVPs are James Hamblin and Mads Søgaard. 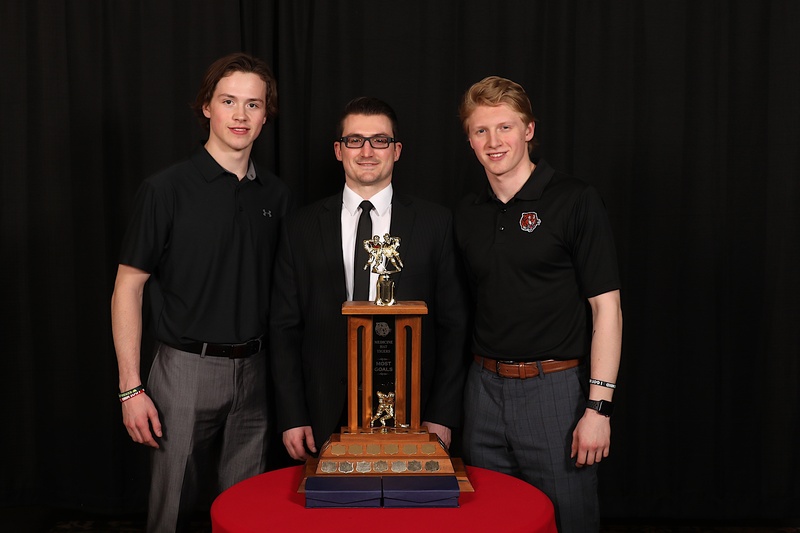 The Medicine Hat Hockey Hounds presented the graduating players with watches. This year’s Year End Reception and Awards Banquet was a great way to end a memorable season. 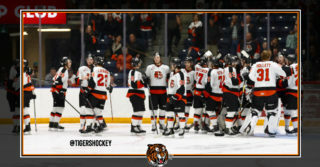 The Medicine Hat Tigers would like to thank their fans for their unwavering support and they are looking forward to the upcoming 50th Anniversary Season.